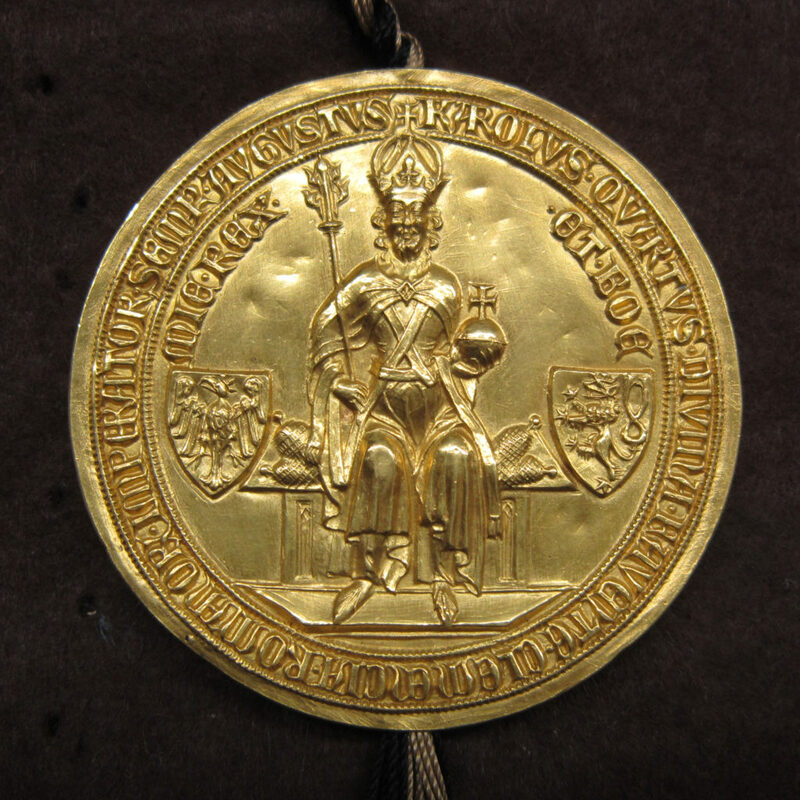 Why are the cultural connections of Charles IV so important for the MALMECC project? Laura Slater begins a series of blog posts looking his life and patronage. Founder of the Charles University in 1348 and responsible for making Prague into such a splendid cultural capital, Charles IV of Bohemia (1316-1378) remains a highly respected figure in the modern-day Czech Republic. 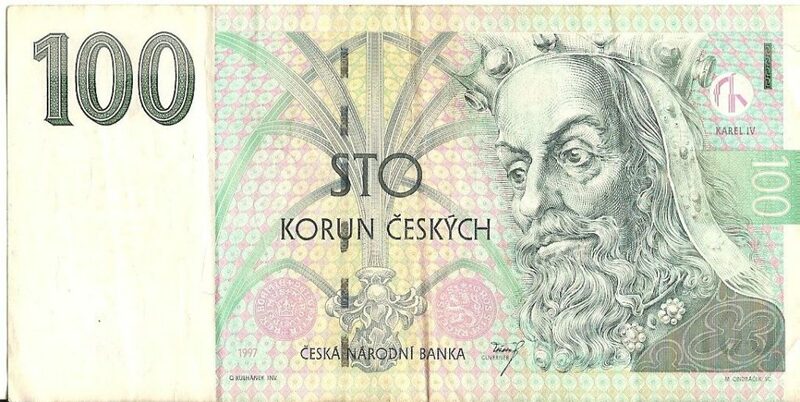 Charles would probably enjoy seeing his face on the Czech koruna today. In his own lifetime, he made sure that his portrait could be seen in many public places, and, through his seal, on important documents that might be publicly inspected or displayed for all to see. Later crowned Holy Roman Emperor, Charles’ court in Prague is a perfect test case for MALMECC’s research into the interactions between different late medieval court cultures and their music, looking at these environments from a pan-European, transnational perspective (link: http://www.malmecc.eu/sub-projects/). Charles IV brought not only art, books, music and song from across Europe to Prague, but even his own name. When he was born, he was baptised Wenceslas (Václav) after his Bohemian ancestors. But at the age of only seven, he was sent away to be educated at the French royal court in Paris. Ruled over by his uncle, Charles IV of France, Wenceslas took the name of a man who must have become an important father-figure for him. In 1330, Charles was sent off to Italy by his own father, King John. Now fourteen years old, in a medieval context he would have been considered quite old enough to start ruling some of the far-flung domains of his paternal family, the Luxembourg dynasty. In fact, Charles had already been married for some years, to a French princess named Blanche of Valois. In Italy, Charles came into contact with the art and culture of sophisticated urban centres like Siena. 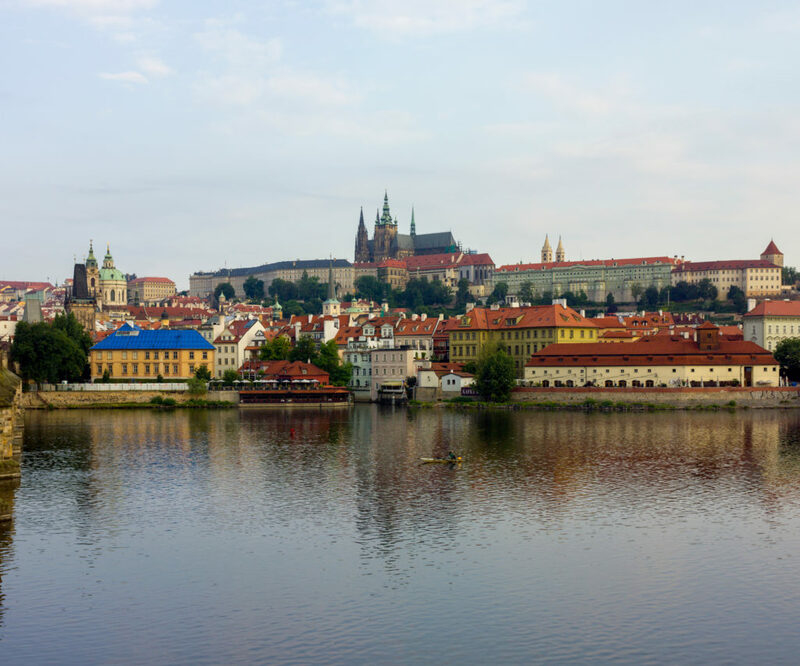 So when he finally returned to Prague in 1333, he was determined to make the city and his court as famous for its beauty, culture and learning as some of the many European cities he had travelled through or lived in. As well as founding the Charles University, Charles rebuilt Prague Cathedral and built himself a new royal residence at Prague Castle. He also founded new religious houses, such as the Carmelite monastery of Our Lady of the Snows, and in 1348, he founded the New Town, a new residential district outside the city walls. 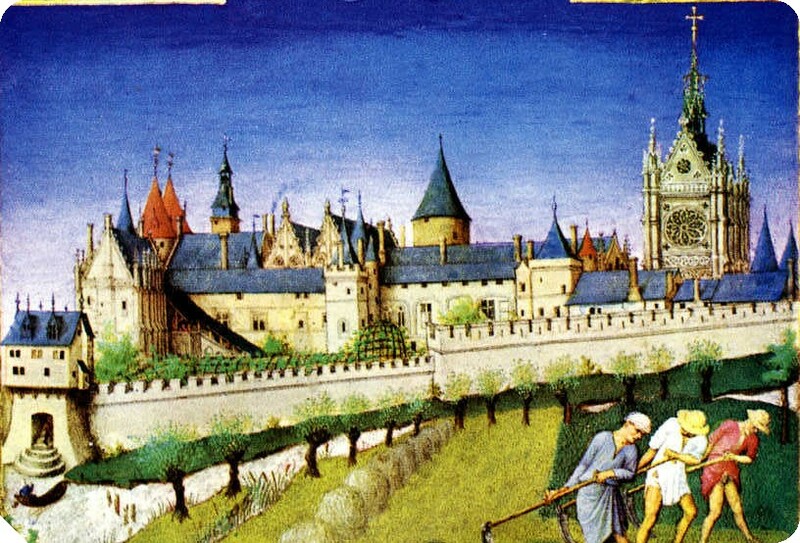 Do you have a research interest in Charles IV or medieval Prague? Let us know!